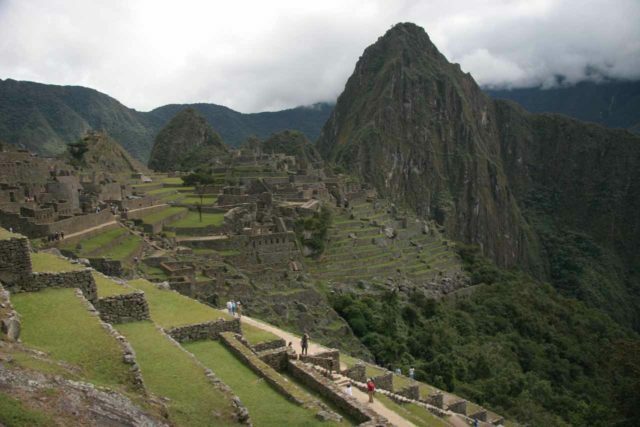 The “Machu Picchu Waterfall” is the name I’m dubbing this rare waterfall by Incan ruins. 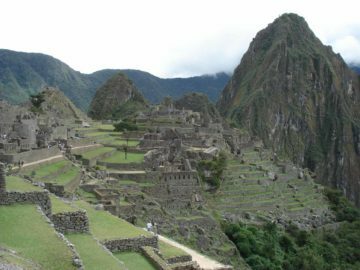 Technically, it was not in the archaeological site of Machu Picchu, but it was not often we were able to see waterfalls and ruins together. 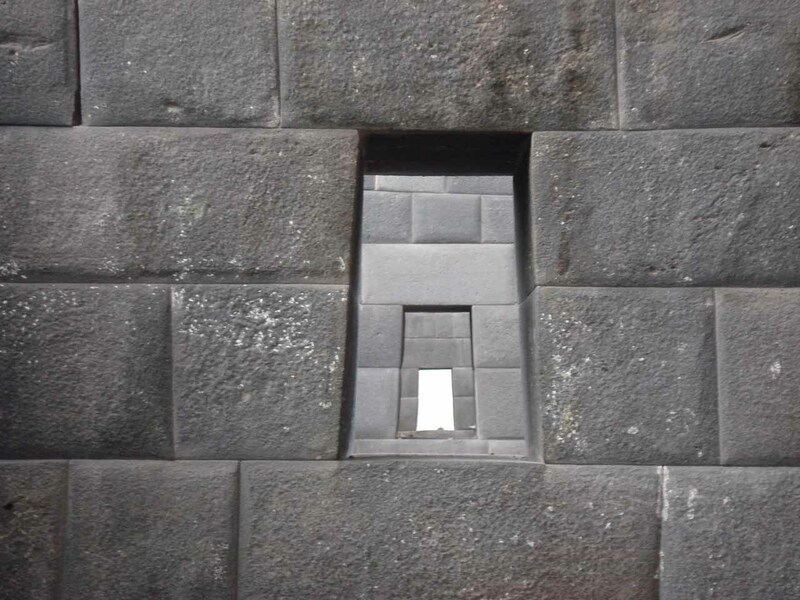 So this one particularly caught my eye and gave me the perfect waterfalling excuse to talk about Machu Picchu, Cusco, and the Sacred Valley. Unfortunately, since there was a lot of foliage and the Cusco-Sacred Valley-Machu Picchu train was moving fast (it wouldn’t slow down for this waterfalls-and-ruins combo), I had a difficult time photographing it for the split second that I saw it. The photo you see at the top of the page was the best I could produce despite the camera being in servo mode. 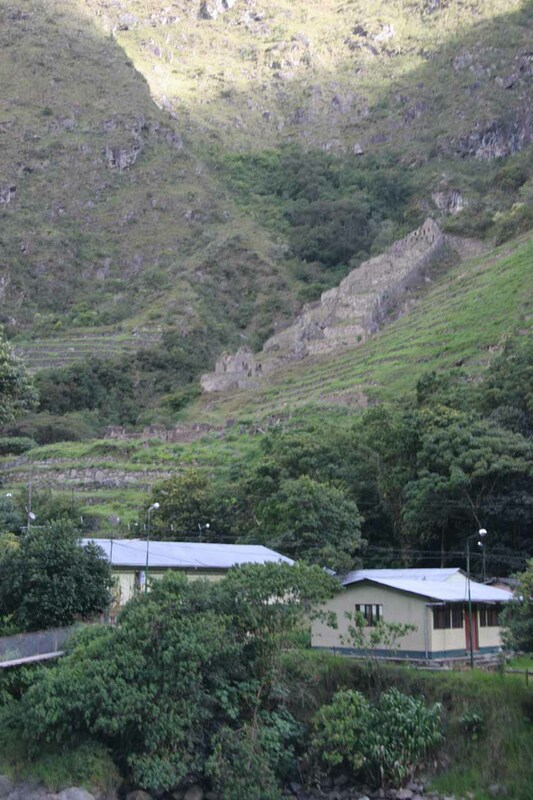 We noticed it a few minutes before we entered the town of Aguas Calientes (or a few minutes after on the return trip). 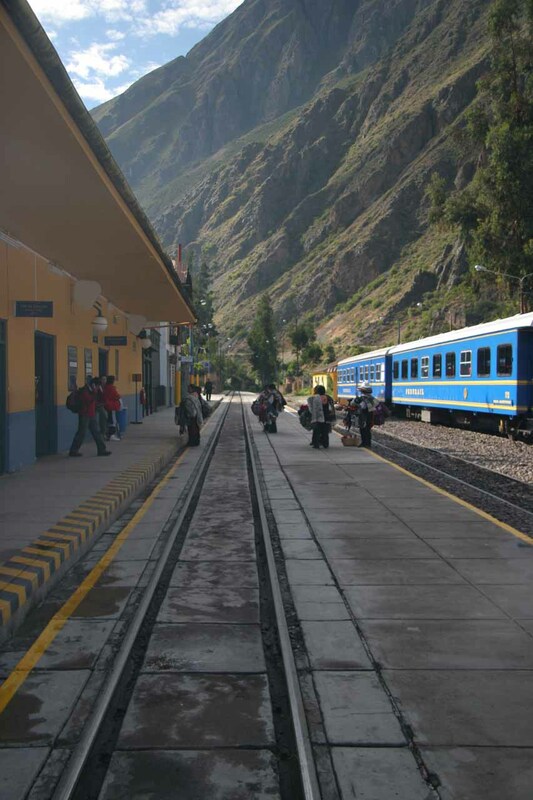 Aguas Calientes was the town where we then caught the bus to go up the mountain to Machu Picchu. I wasn’t sure about whether those ruins were ancient or not as I couldn’t find much literature about this spot. All I know was that this rare combo of ruins and waterfall ought to get more love than just the afterthought treatment we perceived on the train ride. Of course the real reason why most people come through here (especially by train) was to partake in the day tour to Machu Picchu from Sacred Valley. 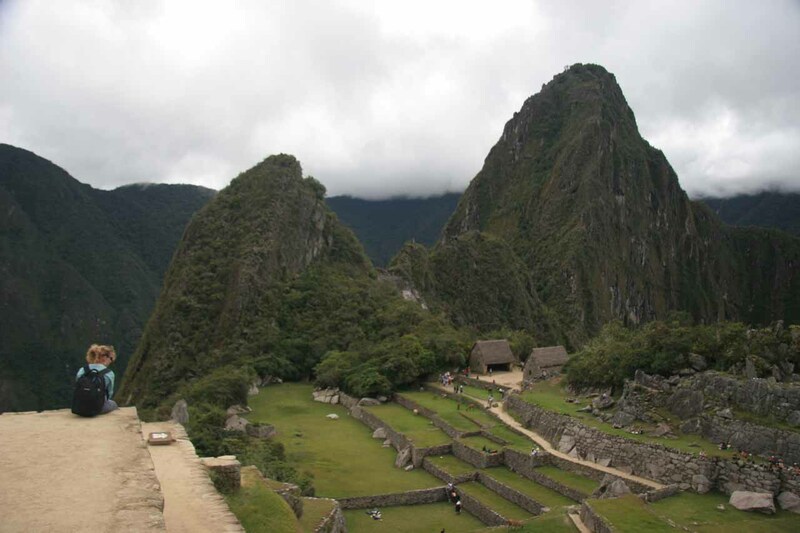 The main focus of such a tour was obviously the archaeological ruins, and I would say Machu Picchu was definitely as advertised in terms of the mystical feel about the place and its sheer beauty. Despite the crowds, we thought it was definitely a major highlight of our Peru trip in April 2008. 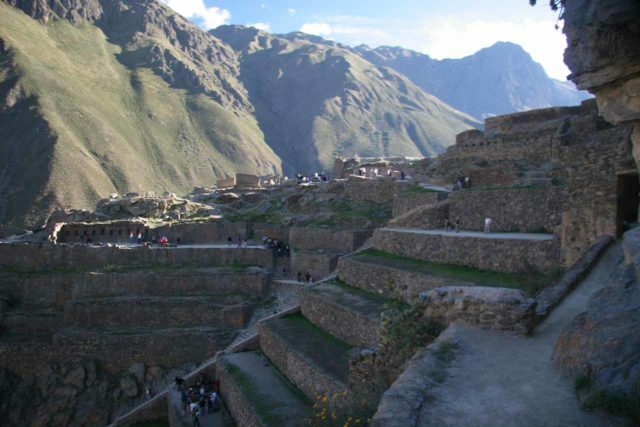 Not to be outdone, we also enjoyed the ruins that we saw in the Sacred Valley (Valle Sagrado) as well. 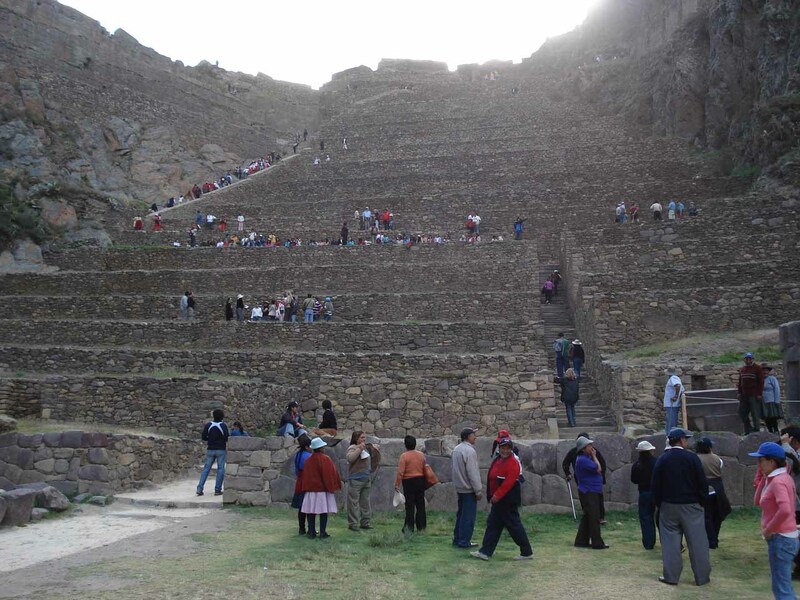 In particular, we were impressed with Ollantaytambo and its cliff-hugging ruins and active water channels. 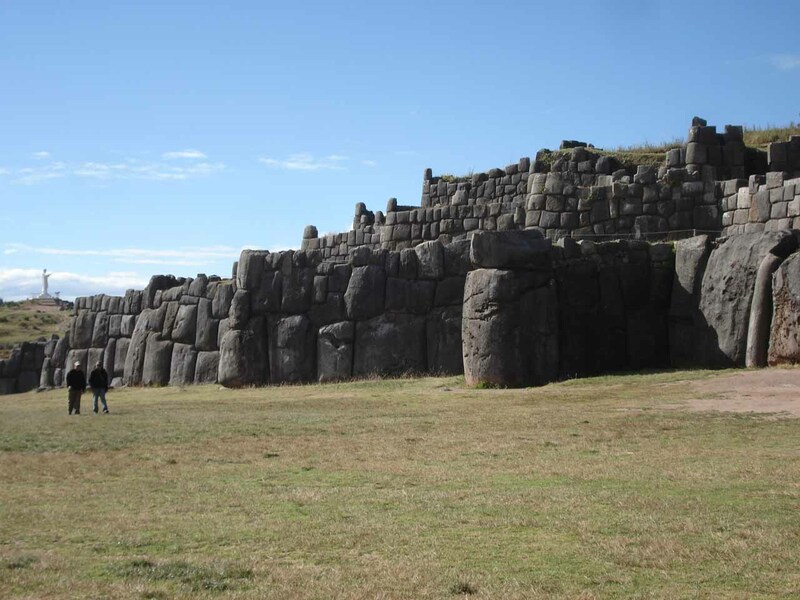 We also noticed structures (possibly storage spots or granaries) perched high up on cliffs, which really boggled our minds as to how such a setup would be practical. 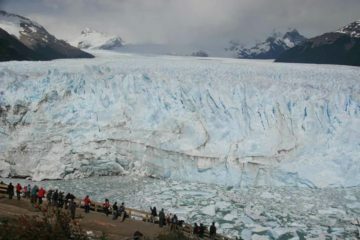 Then again, it just showed how little we knew about what people could figure out given their environments, and it further reinforced our realization that the people who live here really were mountain people who were real familiar and comfortable with the high altitude and steep terrain. 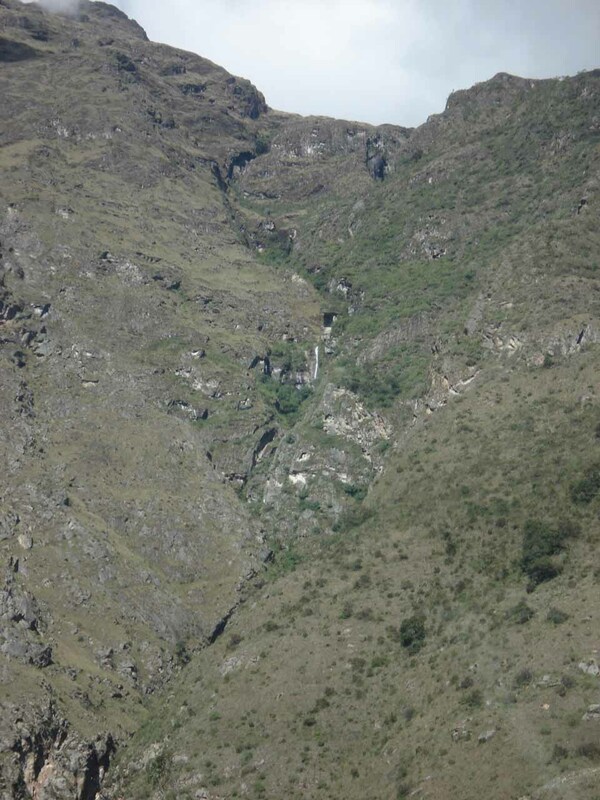 Look for this waterfall just before your reach a hydroelectric facility minutes before the pueblo of Machu Picchu (or Aguas Calientes). 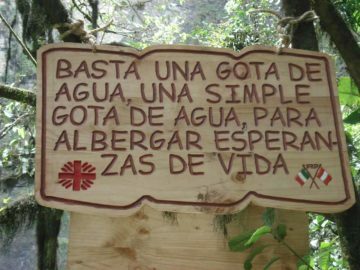 You have to be real attentive to spot it on the left side (approaching Aguas Calientes) or the right side (leaving Aguas Calientes). 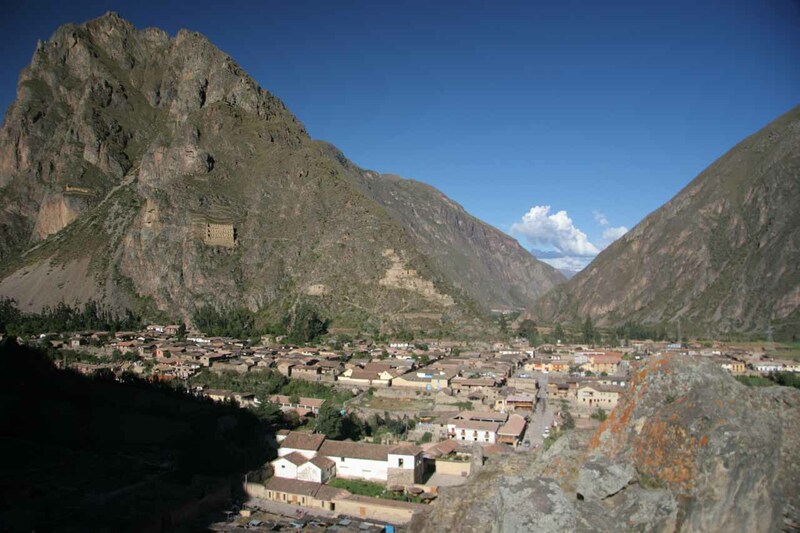 Our train ride took off from Ollantaytambo, which was said to be 173km from Cusco. 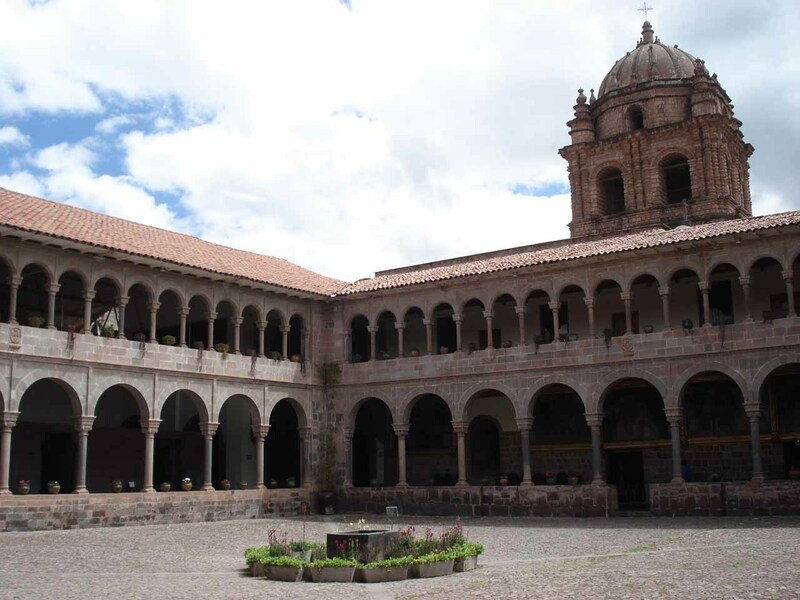 Cusco was about a 90-minute flight from Lima.